Habana Vieja is a diamond, partly polished, partly rough. Part of the district has been renovated and looks just like a European capital. Then, visitors suddenly find themselves in a tangle of narrow shabby-looking streets, feeling like they’ve somehow traveled in time! 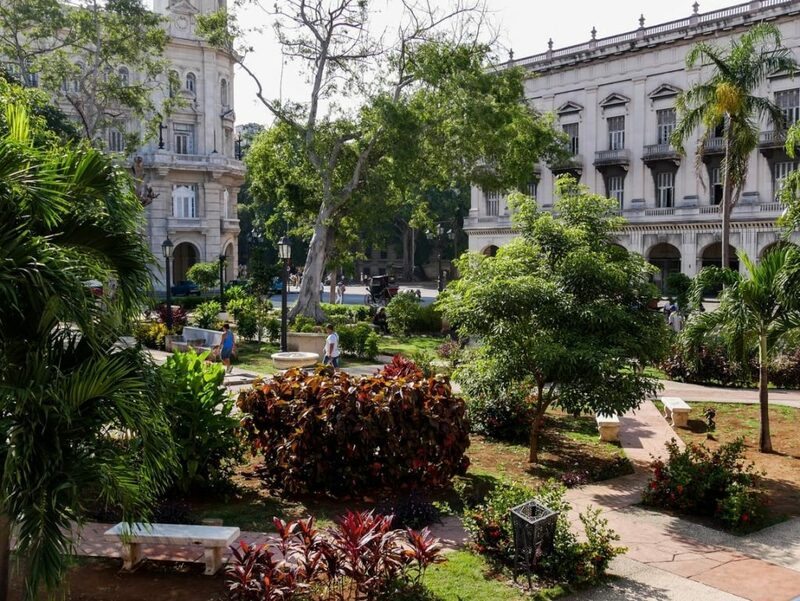 Halfway between Rome and Delhi, la Habana Vieja is, like Cuba, a paradox! 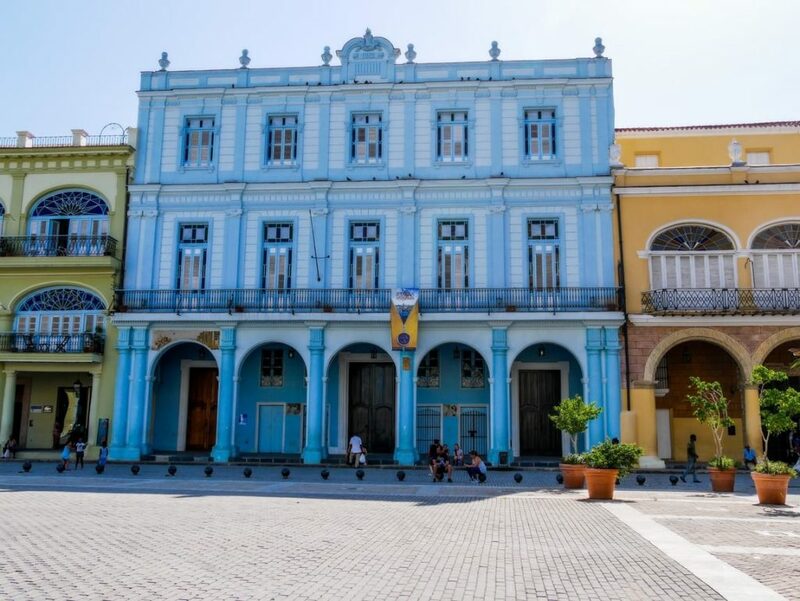 Listed as a UNESCO World Heritage site since 1982 for its architectural wealth combining baroque and neoclassicism, Habana Vieja is the oldest district in the capital. It stretches over approximately 2 square miles on the west bank of the Bay of Havana. 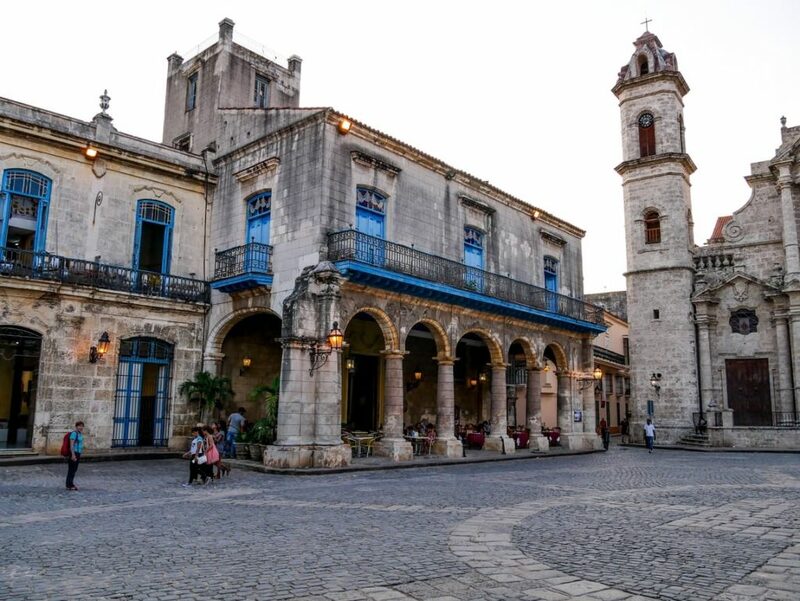 Churches, convents, fortresses and palaces of all kinds, including some over 5 centuries old, line up along the charming cobbled streets of Habana Vieja. Beware of the jinteros, touts storming the neighborhood in search of gullible tourists. However, they are not pushy and will leave you alone if you gently refuse their offers. Few tourists venture beyond the renovated streets and squares of the neighbourhood. 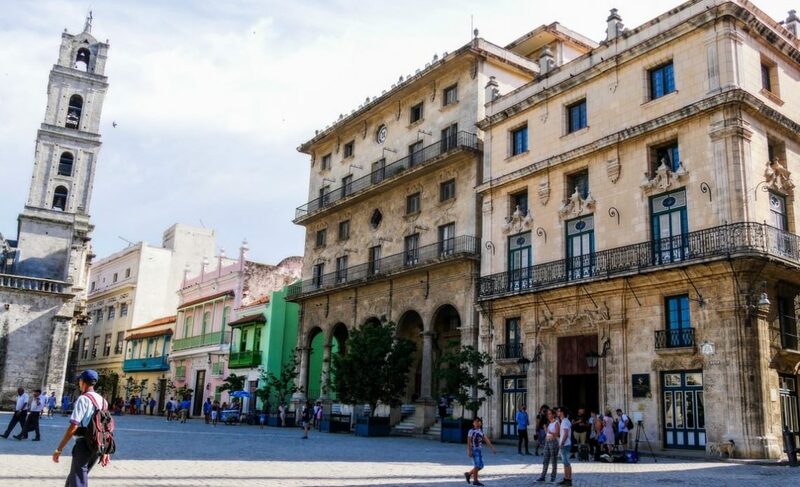 But that’s precisely how you will truly discover the spirit of Havana’s old town and its inhabitants’ daily lives. 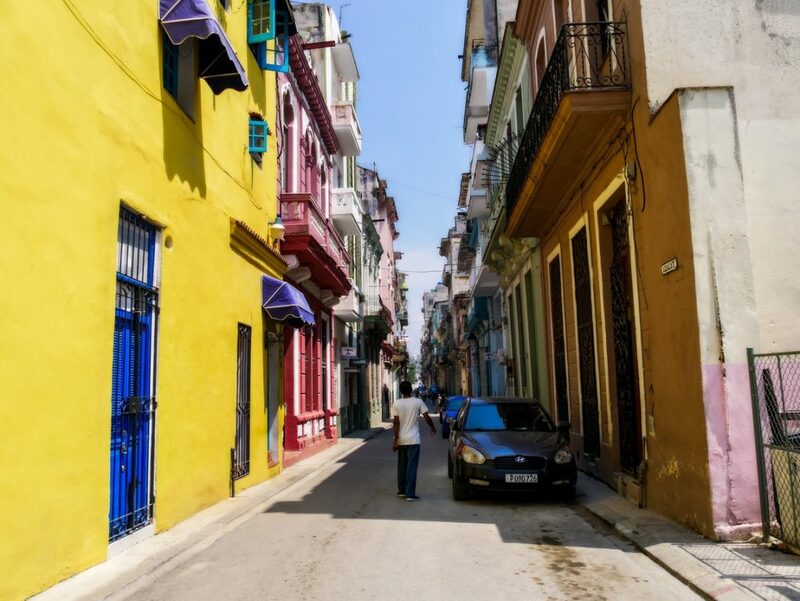 So don’t be scared to explore the narrow weathered streets of Habana Vieja. 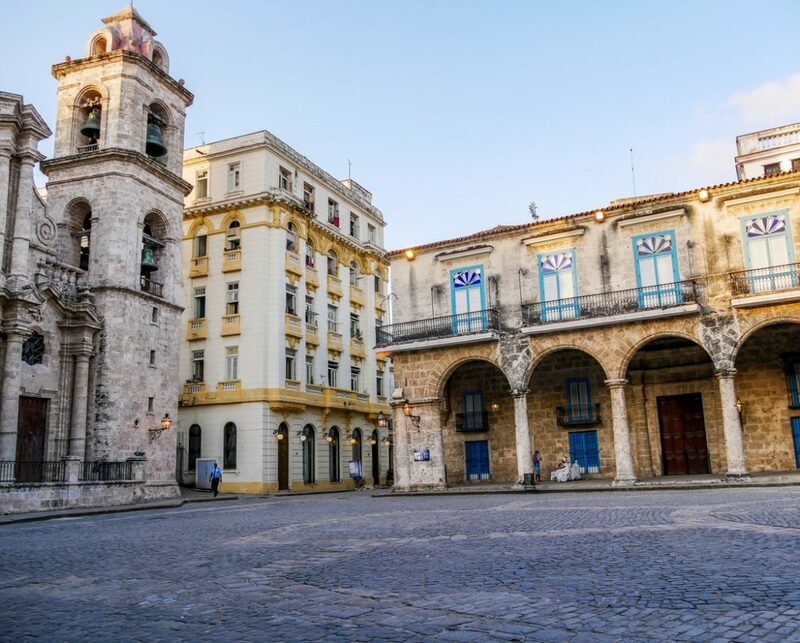 The city of Havana was founded in 1519 by Spanish settlers. The Bay of Havana indeed offered a strategic entry point to the Americas, and was an ideal base for trade in the region. 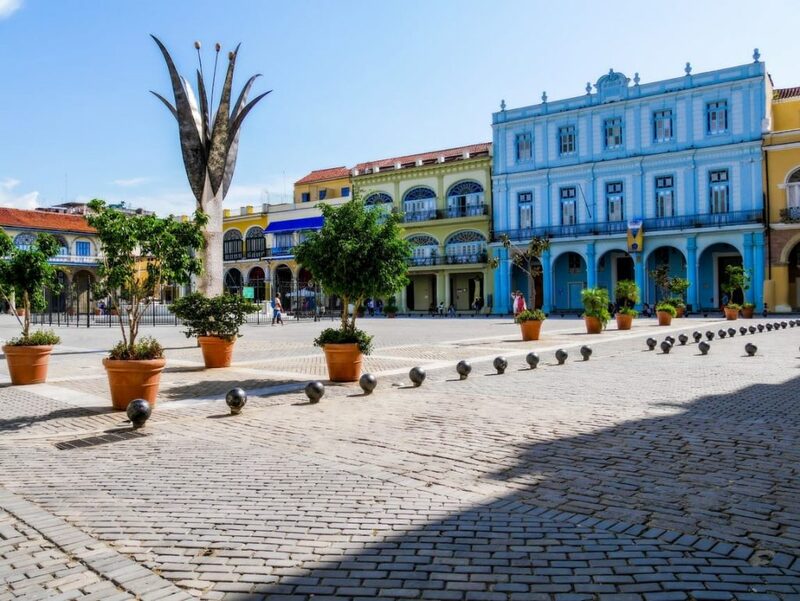 Plaza de Armas, as well as the oldest buildings in Habana Vieja, date back to the creation of the city in the 16th century. Repeated pirate attacks prompted the Spanish to extend the defenses of the city. Castillo de La Real Fuerza and Fort El Morro were therefore erected in the late sixteenth century to protect the Bay against potential attackers. Over the centuries, the city kept expanding around this historic centre. 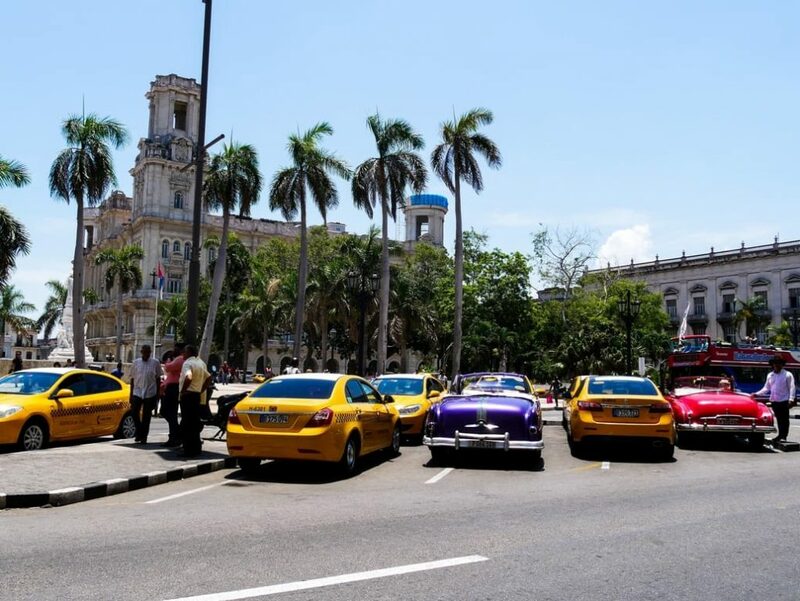 Habana Vieja now is one in fifteen municipalities in Havana. Habana Vieja counts plenty of entirely renovated cobbled squares, each more charming than the other. 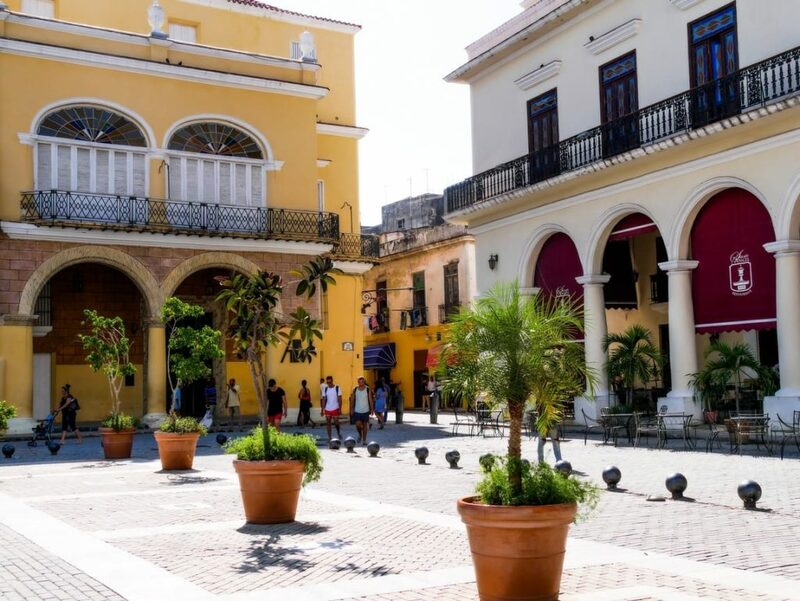 Located in the north of Habana Vieja, Plaza de la Catedral, is one of our favourite squares in Havana’s old town. 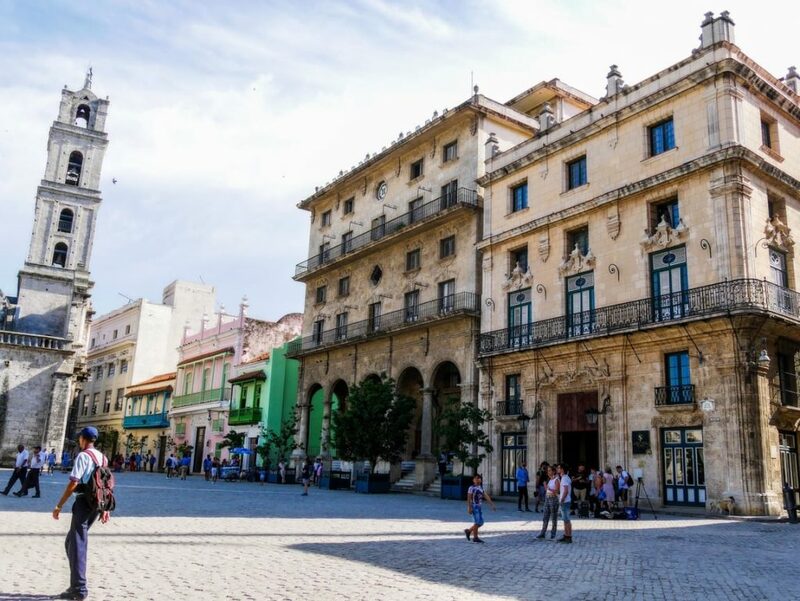 Lined with baroque limestone buildings, including the beautiful Cathedral of Havana, Plaza de la Catedral is absolutely charming! 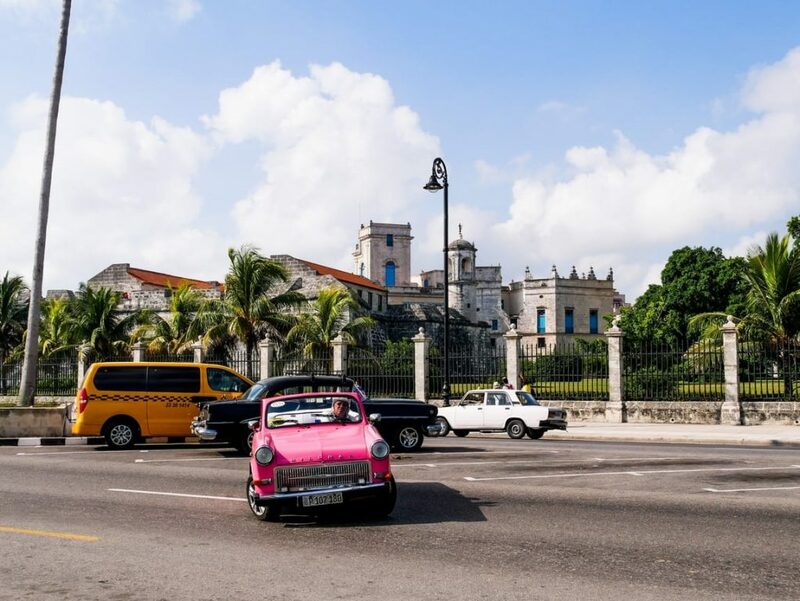 Its incredible architectural uniformity starkly contrasts with the colorful extravagance which is customary in Cuba. 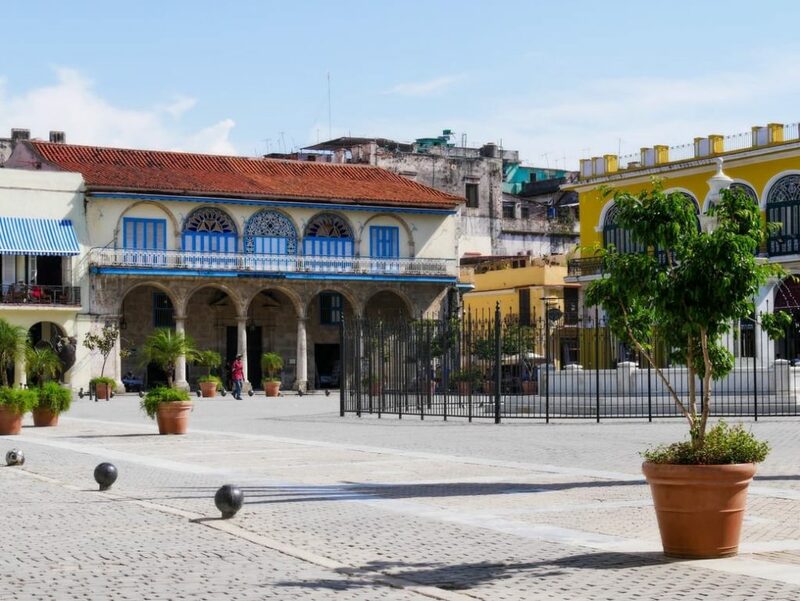 To the east, Plaza de Armas is the oldest square in Cuba, although most of its buildings were (re-) built in the 18th century. 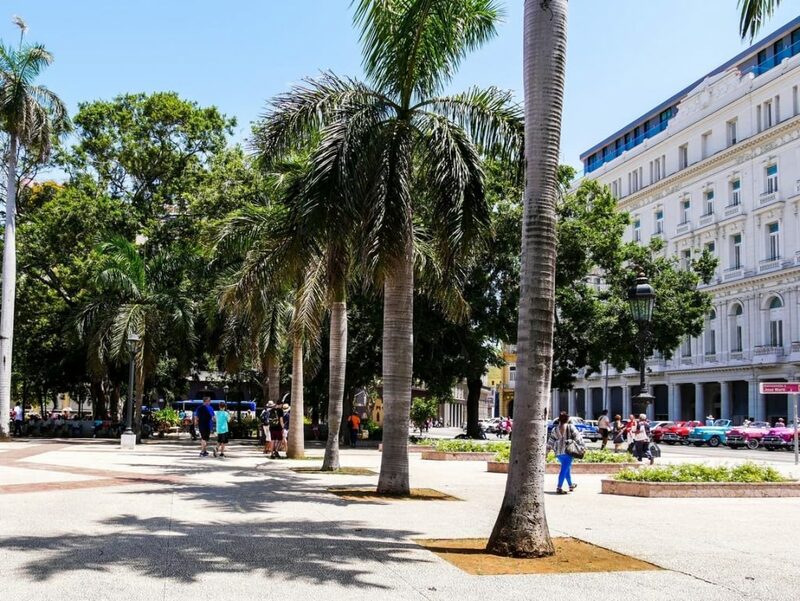 Shaded by many royal palms, the square is a breathe of fresh air in the bustle of Habana Vieja. You’ll find a book market on the square every day, except for Sundays. 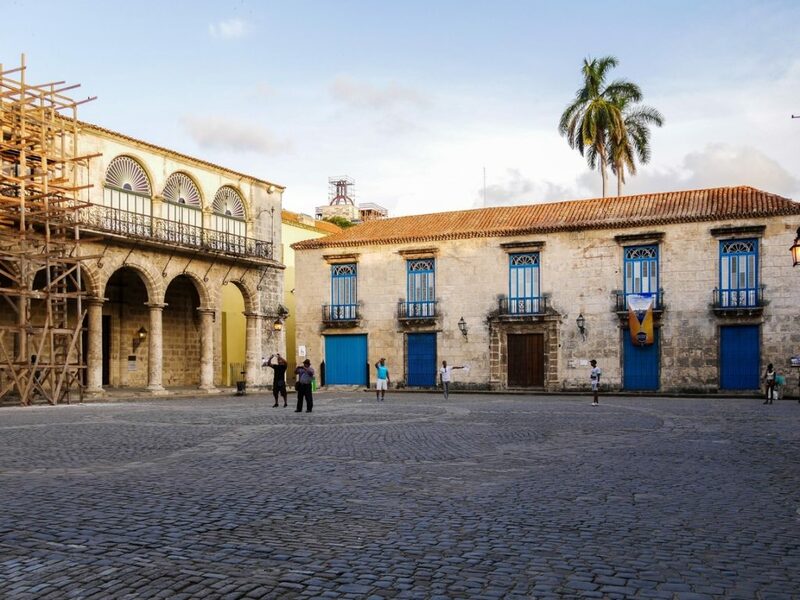 Plaza de San Francisco de Asis is a colonial square dating back to the 16th century. It was completely restored in the 1990s. Three statues adorn the square: La Fuente de los Leones, a marble fountain dating back to the 19th century, El Caballero de París dating back to the 1950s, and La Conversación, which was added in 2012. 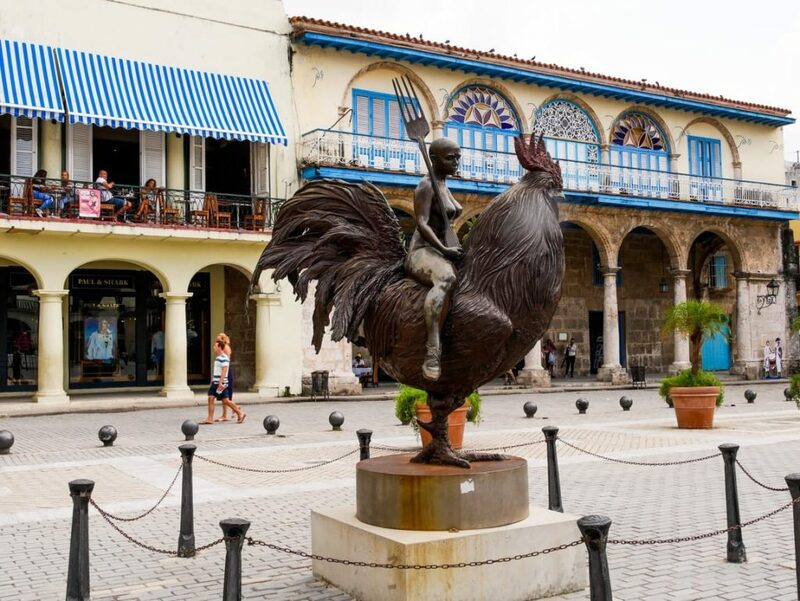 Plaza Vieja is the most eclectic and colorful square in Habana Vieja. 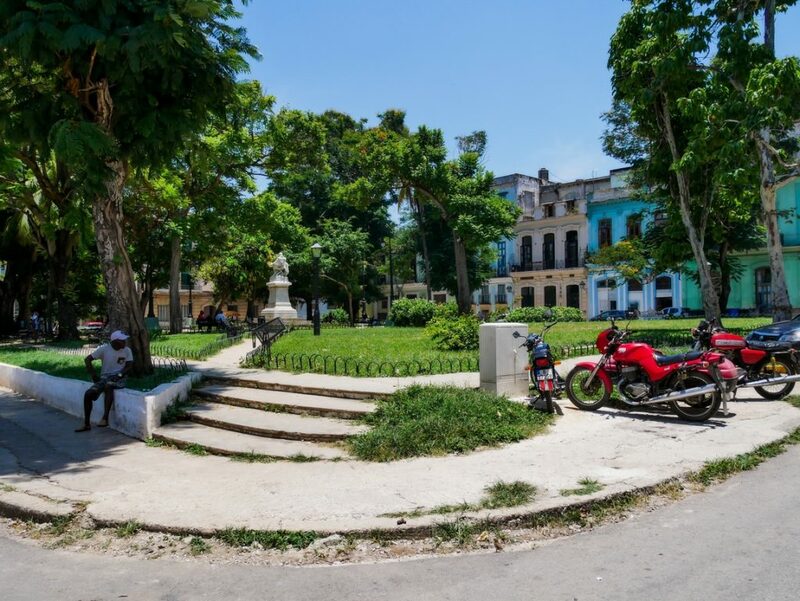 Even though its name may suggest otherwise, it is not the oldest square in Havana. It was actually originally called Plaza Nueva. 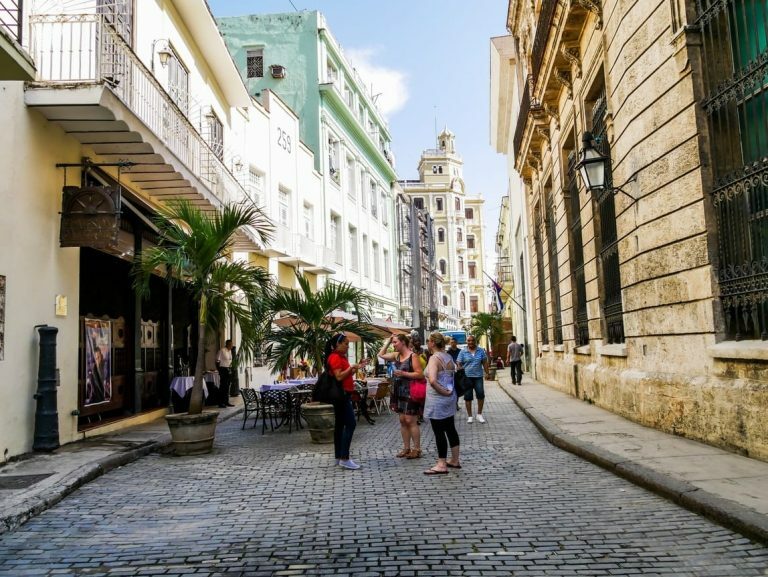 You’ll find here many bars and restaurants for a well-deserved break before resuming your exploration of Havana’s old town. 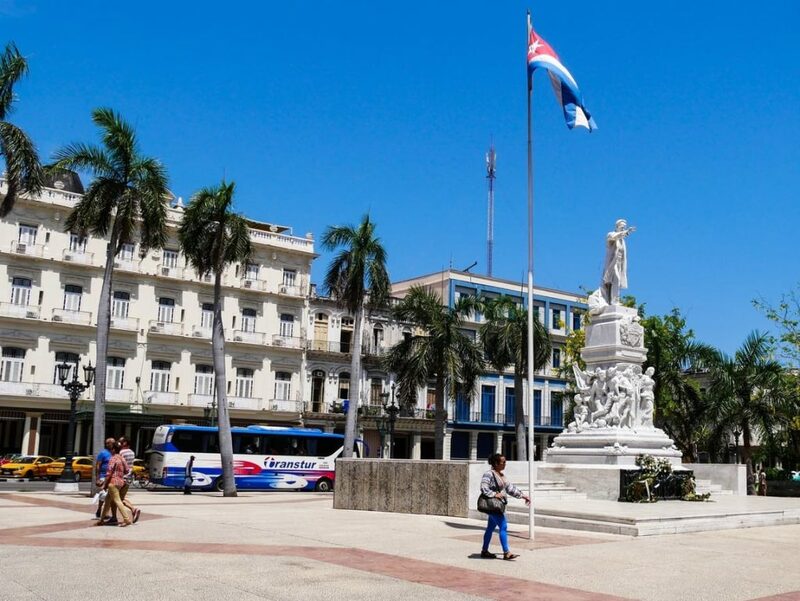 Parque Central is located on the outer limit of Habana Vieja. You will find here most of the capital’s emblematic hotels . Calle Mercaderes, in English “merchant street”, is a pedestrian street which was entirely restored so as to mirror as closely as possible what it looked like in the 19th century. It is lined up with shops and restaurants. 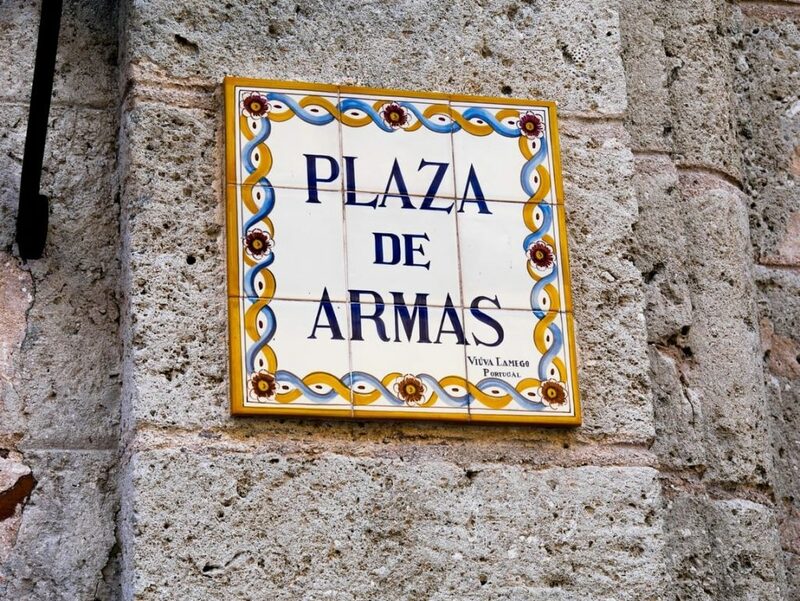 Do not miss Armería 9 de Abril, the armory which was attacked by the Castrist fighters during the 1958 Revolution. 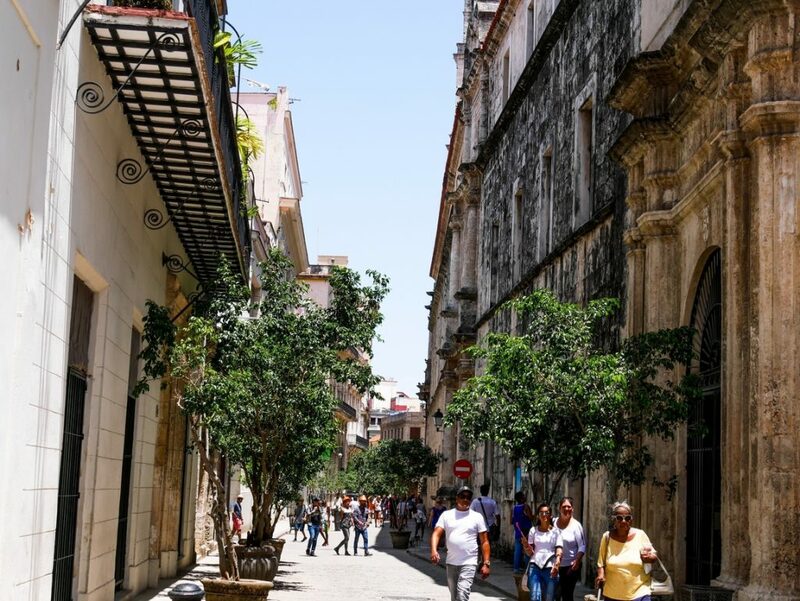 Dating back to the 16th century, Calle Obispo is the busiest street in Habana Vieja. You’ll find here plenty of art galleries, bars and restaurants. 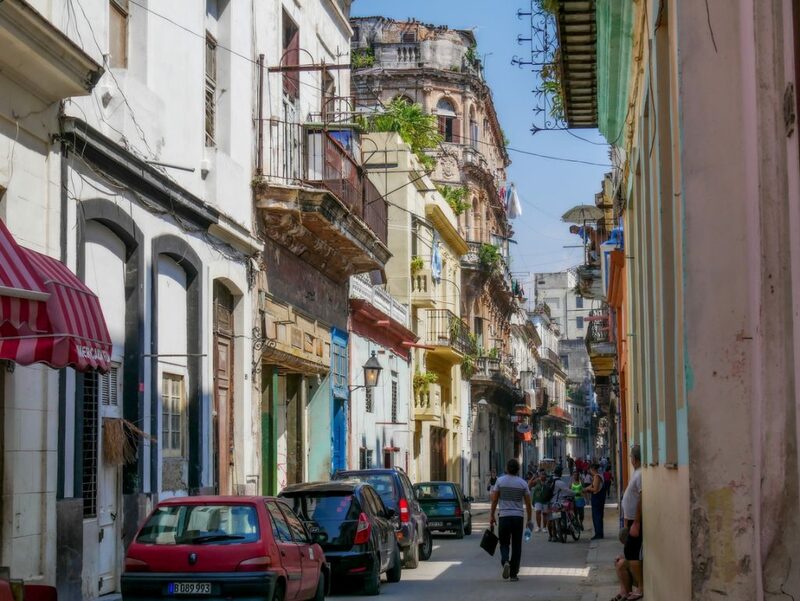 Some regret that the street has grown too touristy and doesn’t not reflect the true face of Havana. 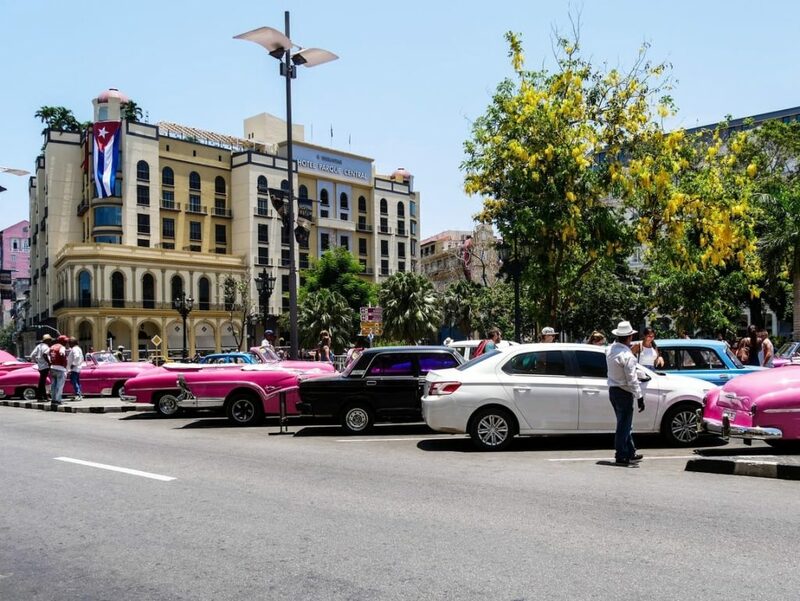 Funny fact: when Hemigway came to Cuba, he lived at the corner of Calle Obispo and Calle Mercaderes. 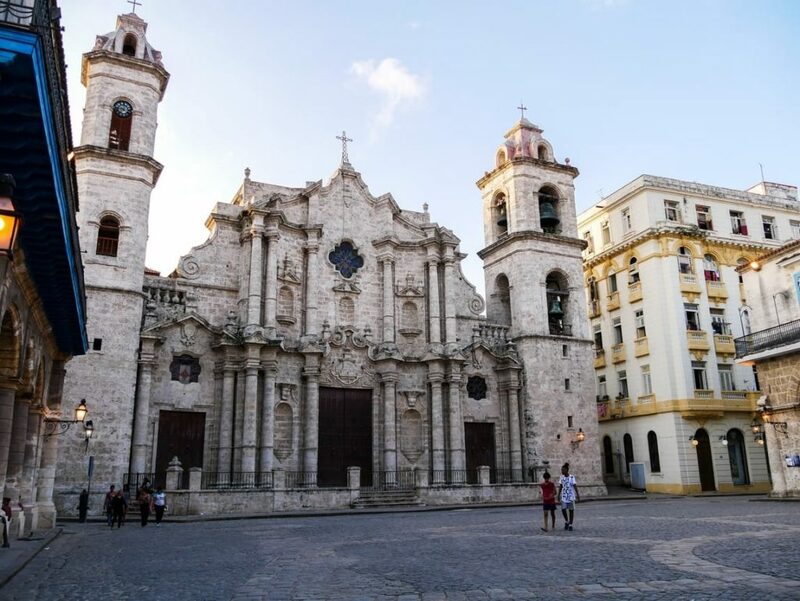 Located on Plaza de la Catedral, the Catedral de San Cristobal de La Habana, or more simply the Catedral de la Habana, is a baroque cathedral dating back to the second half of the 18th century. 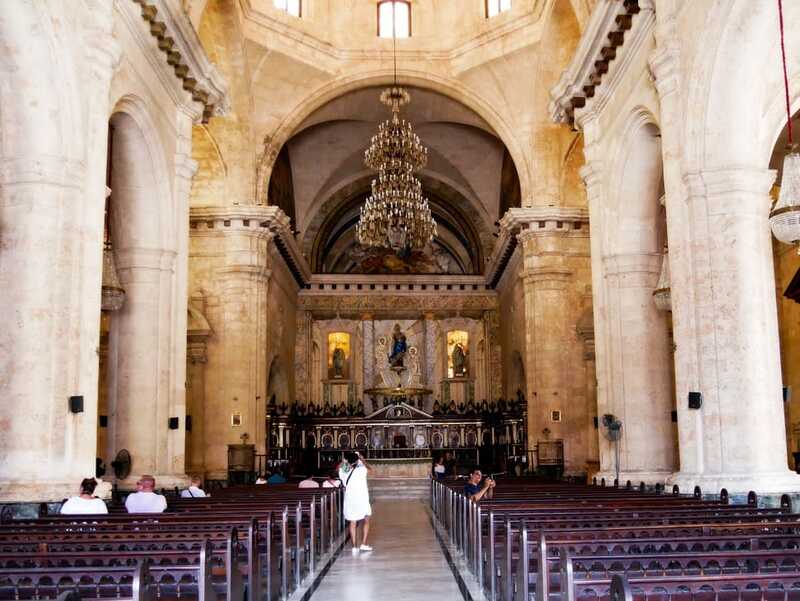 Contrasting with its exteriors, the cathedral’s interiors are designed in an austere neoclassical style. Christopher Columbus’s remains rested here from 1795 to 1898, before being sent back to Seville. 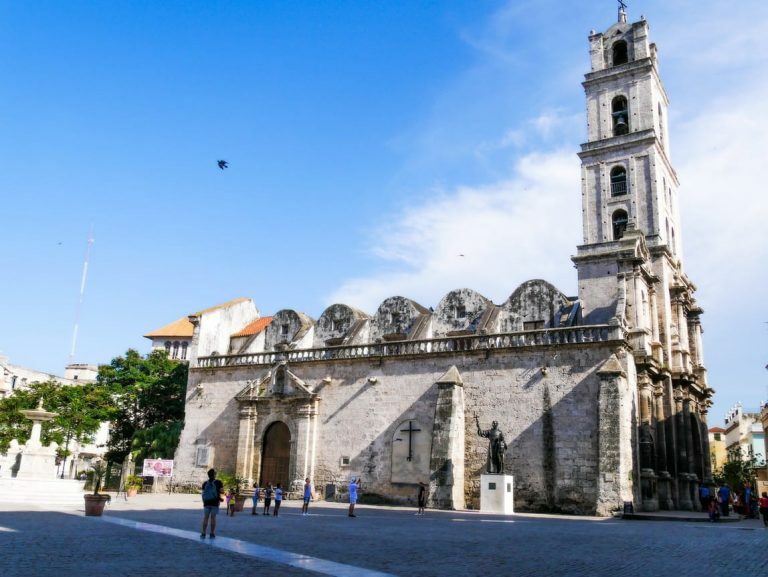 Iglesia y Convento de Nuestra Señora de la Merced is one of the most renowned churches in Havana. Its construction began in the 17th century, but wasn’t completed until two centuries later. This baroque church has no steeple but is renowned for its opulent interior decoration featuring a wealth of frescoes, gilding and paintings. 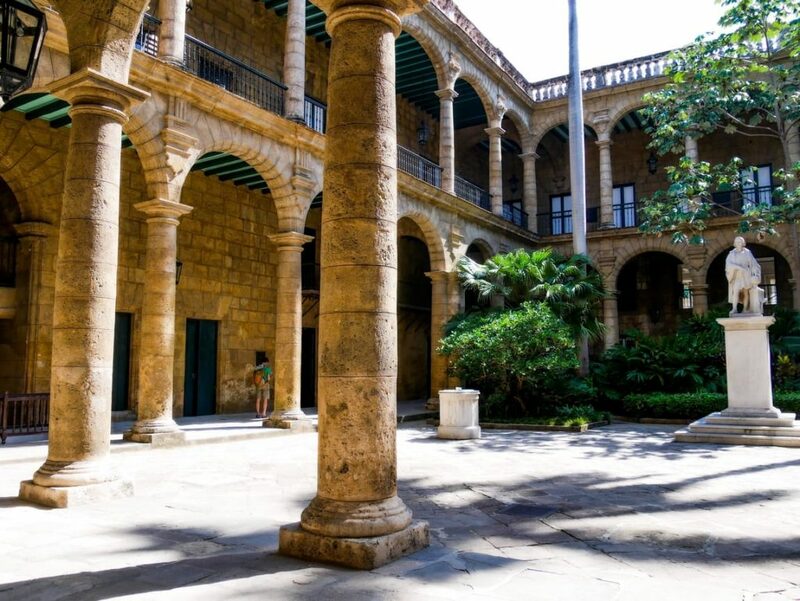 Don’t miss the lovely cloister adjacent to the church: it is a beautiful peace haven, protected from the heat and bustle of Habana Vieja. Located on Plaza San Francisco de Asís, Iglesia y Monasterio of San Francisco de Asís was originally erected by Franciscans in the 17th century. Following violent storms, it was rebuilt in the 18th century in a Baroque style. A beautiful cloister was also added to the church’s structure. Iglesia y Monasterio of San Francisco de Asís hasn’t been a place of worship since the 19th century. Over time, the church was used as a warehouse and later turned into offices. The building now houses a museum of sacred art and a concert hall. 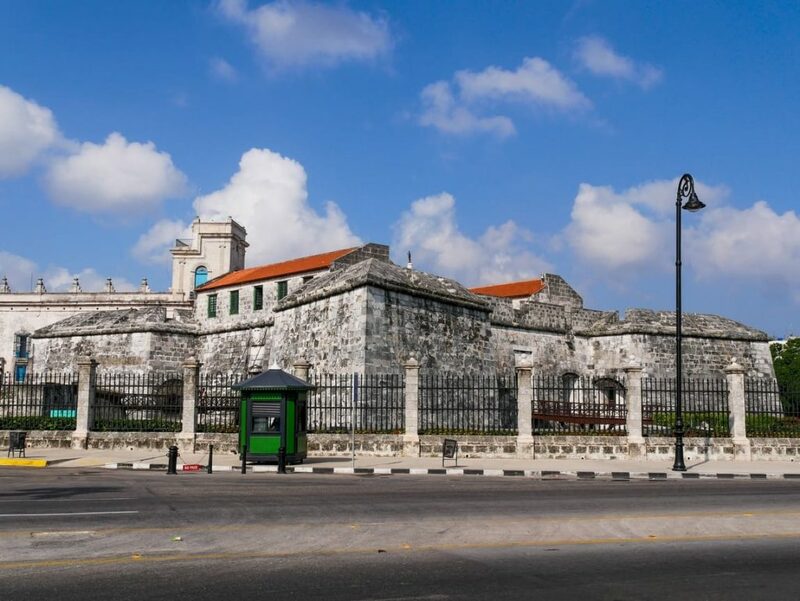 Iglesia and Convento de Nuestra Señora de Belén is the largest religious complex in Habana Vieja, although, like San Francisco de Asís, it is no longer a place of worship. Both the church and the convent were built in the early 18th century by the “Orden de Belén”, the Order of Bethlehem, a religious order created in the 17th century in Guatelama. Over time, this Baroque building passed through the hands of the Jesuits before becoming the seat of the Academy of Sciences. It now houses a community centre funded by the Cuban government. 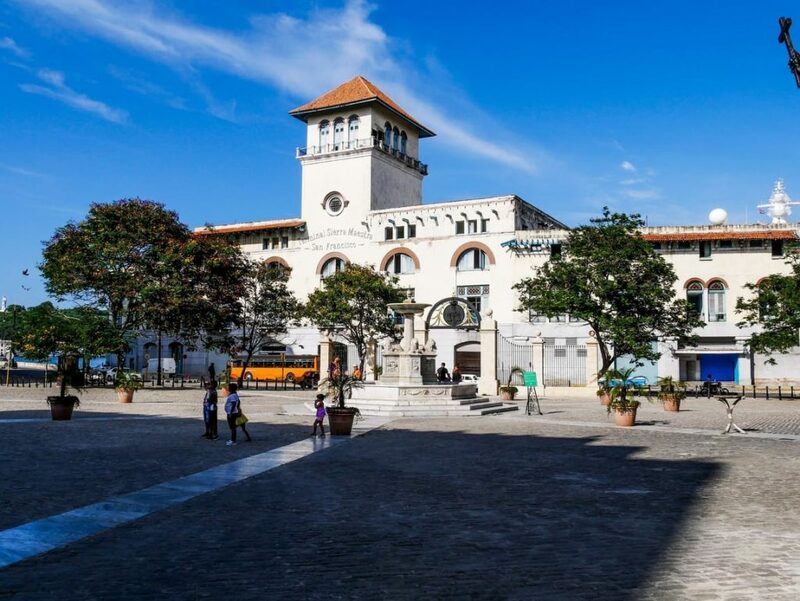 With its lovely dome and colorful stained glass windows, Iglesia de San Francisco de Paula is one of the most charming churches in Habana Vieja. It was originally built in the 17th century and comprised a women’s hospital. Destroyed by a hurricane in the 18th century, the church was rebuilt in baroque style inspired by Spanish architecture. 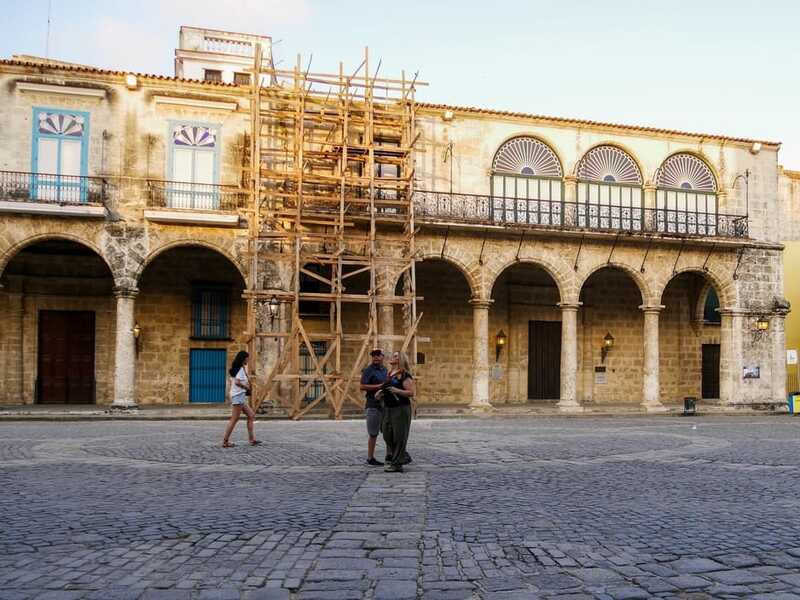 Completely renovated in 2000, the church now hosts concerts and exhibitions of Cuban artists. 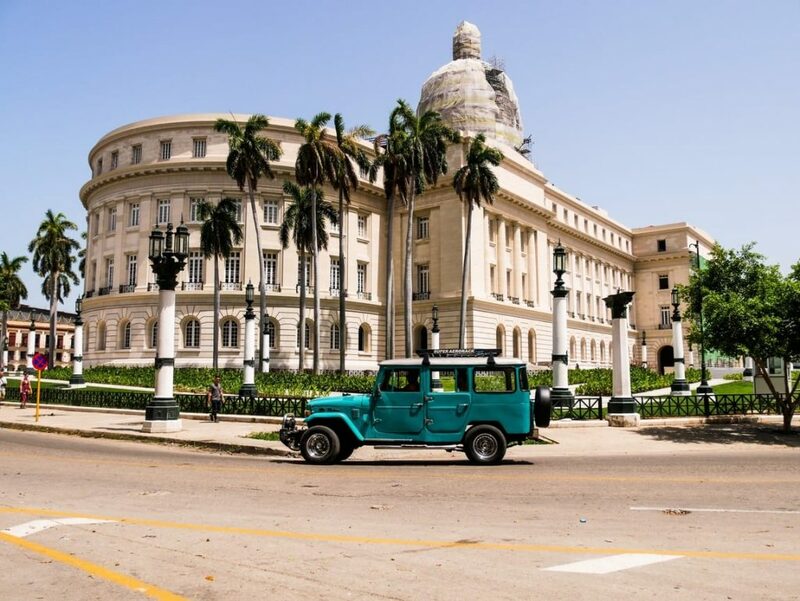 Built during Cuba’s post-WWI economic boom , the Capitolio Nacional was the seat of the Cuban Congress until the 1959 Revolution. Inspired by the Capitol in Washington D.C., this Cuban version is a little bigger than its model. 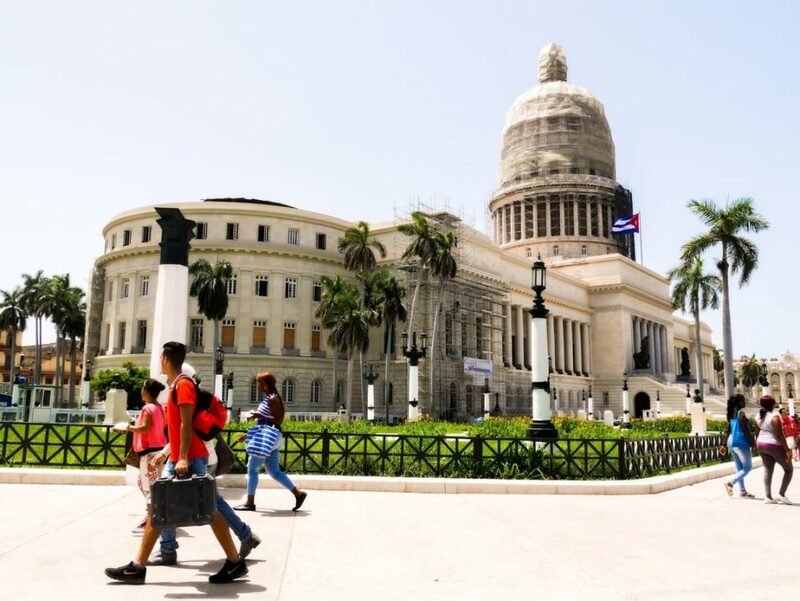 The Capitolio Nacional has been the seat of the Academy of Sciences since the Castro revolution. The Capitolio underwent a long phase of renovations but should now have reopened to the public (3 CUC to visit the building without a guide, 4 CUC with one). Located on Avenida de Bélgica, Edificio Bacardi is a magnificent Art Deco building dating back to 1929. At the time when it was built, it was the tallest building in Cuba. Its bell tower overhangs the entire neighborhood and offers panoramic views on the capital (1 CUC to climb to the top). Restored in the 1990s, Edificio Bacardí now houses offices, as well as a bar. 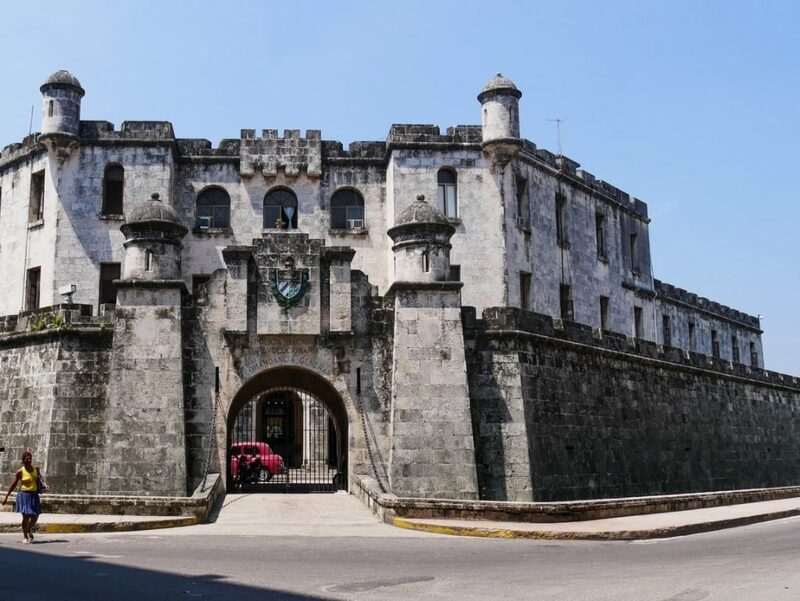 Facing the sea on the Plaza de Armas, the imposing Castillo de la Real Fuerza was built in the 16th century. The pirates then posed a heavy threat, looting and sacking all flourishing cities the Caribbean. The Spaniards built a system of gigantic fortifications in Havana to defend themselves against these brutal attackers. 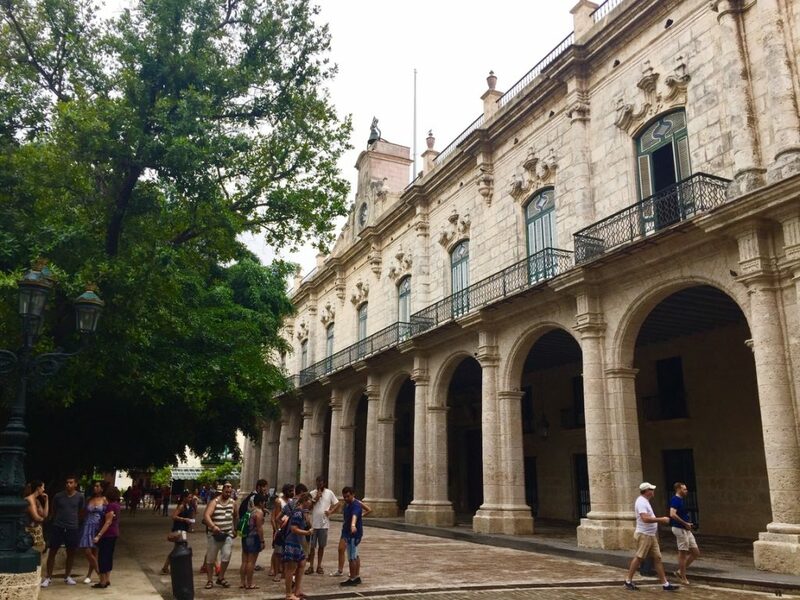 It’s also on beautiful Plaza de Armas that you’ll find the Palacio de los Capitanes Generales. Erected in the 2nd half of the 18th century, this palace is one of the most beautiful examples of Baroque architecture in Cuba. 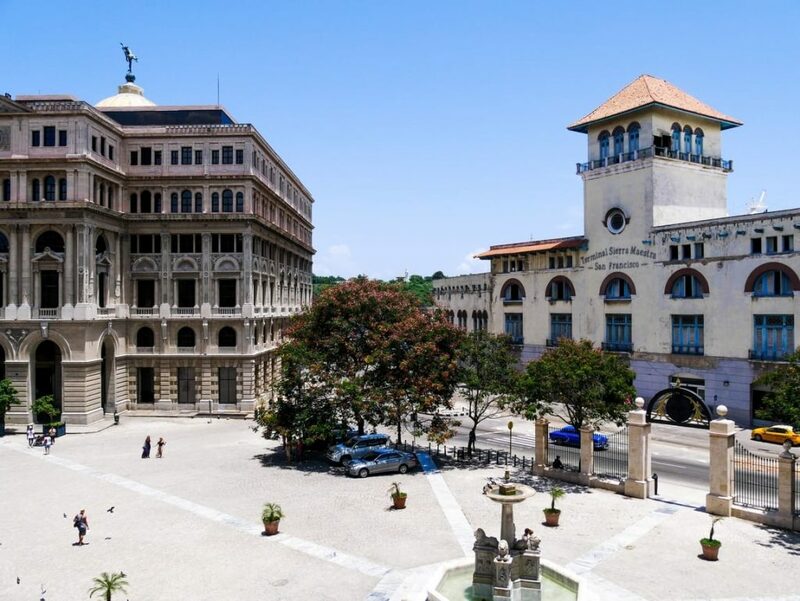 It was initially built as a residence for the governor of Cuba, but was converted into a presidential palace in 1902, then into a city hall in 1920. Today, the Palacio de los Capitanes Generales houses the Museo de the ciudad. The museum traces the rich and eventful history of the city through a beautiful collection of historical artifacts (period furniture, uniforms, photographs …). 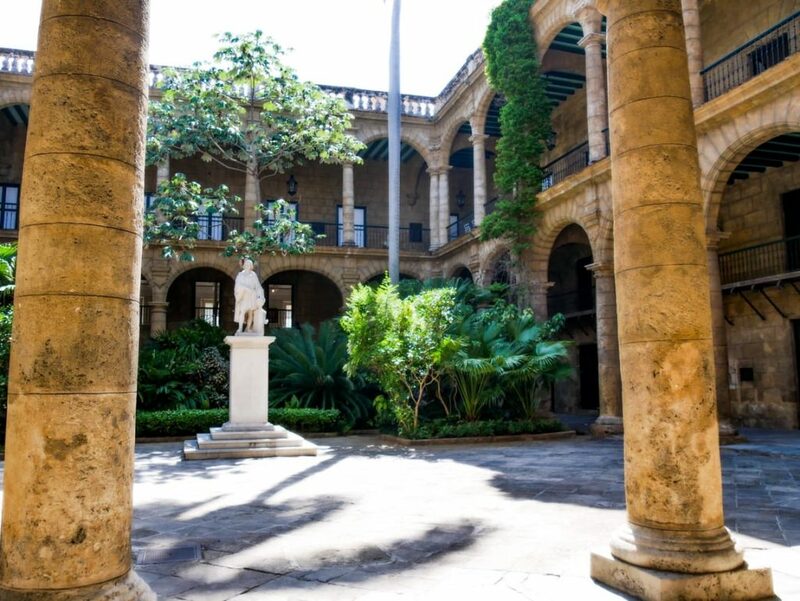 Located a short walk from Plaza de San Francisco de Asis, the Museo del Ron is the property of famous rum brand Havana Club. The museum traces the different stages of rum production, from barrel making to fermentation. Entrance fees including a guided tour amount to 7 CUC per person. <<unsurprisingly, you’ll also find a bar and a shop on site. You’ll find the Casa natal de José Marti in Calle Léonor Perez. 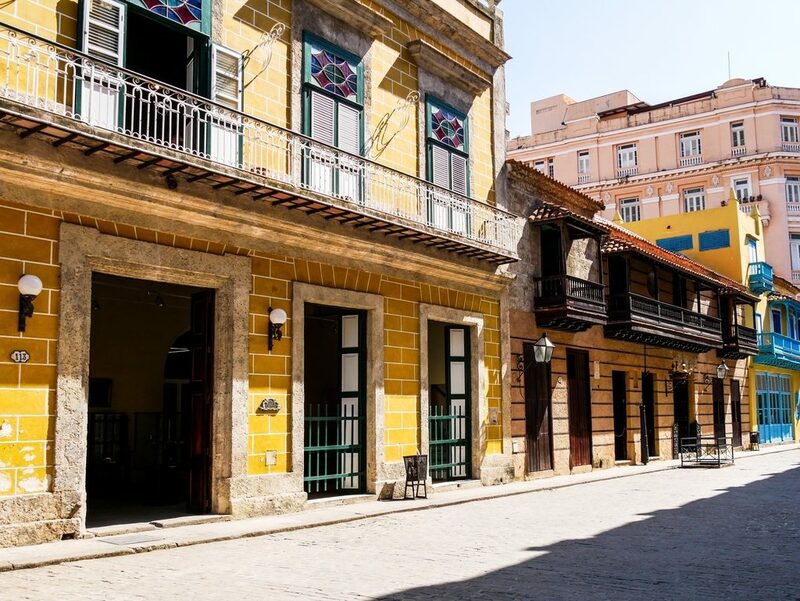 This small house, where the famous Cuban leader was born in 1853, now houses a small museum retracing the life and fight of José Marti, featuring letters and memorabilia of all kinds. 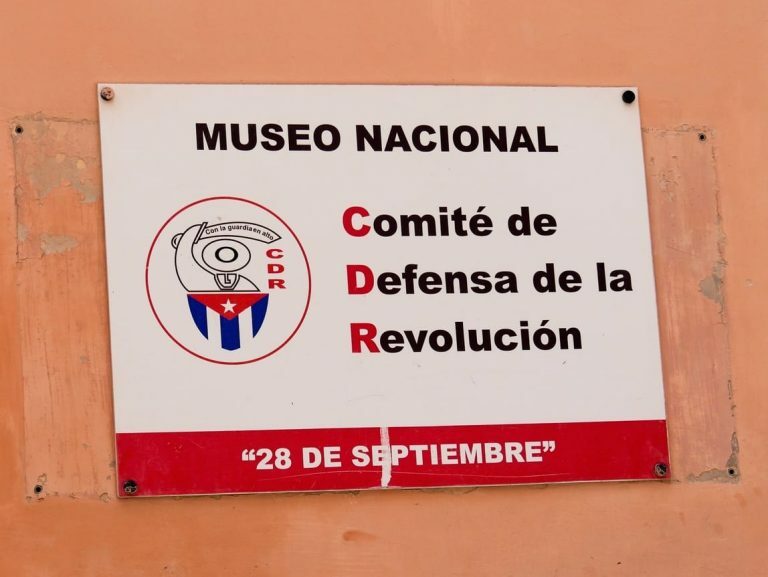 To fully grasp the impact of the Castro regime on the daily lives of the Cuban people, we recommend that you visit the Museo “28 de Septiembre” de los CDR (2 CUC).With quite a subjective take on things (as always in Cuba), this small museum explains the fundamental role that the CDR, the “Committees for the Defense of the Revolution”, play in Cuban society, even today. We found it quite interesting. 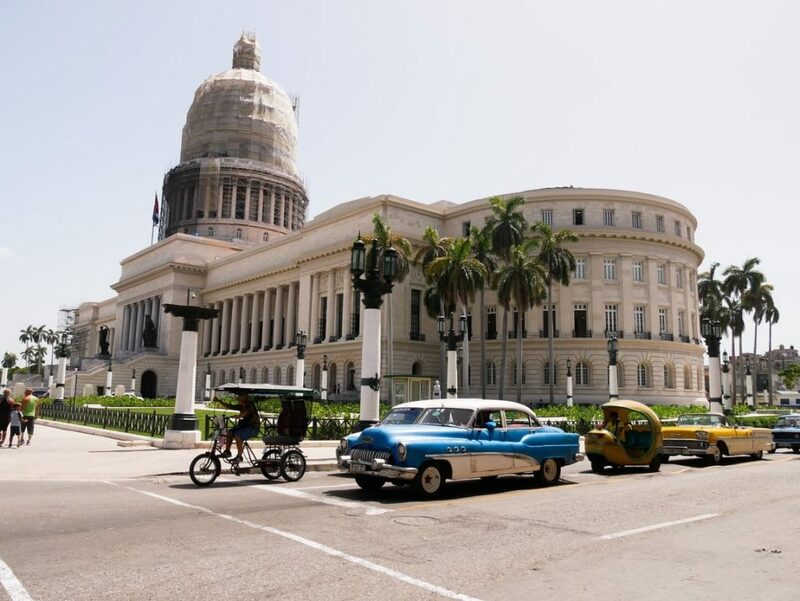 If you’re looking for a place to stay in Havana, we highly recommend La Estrella. 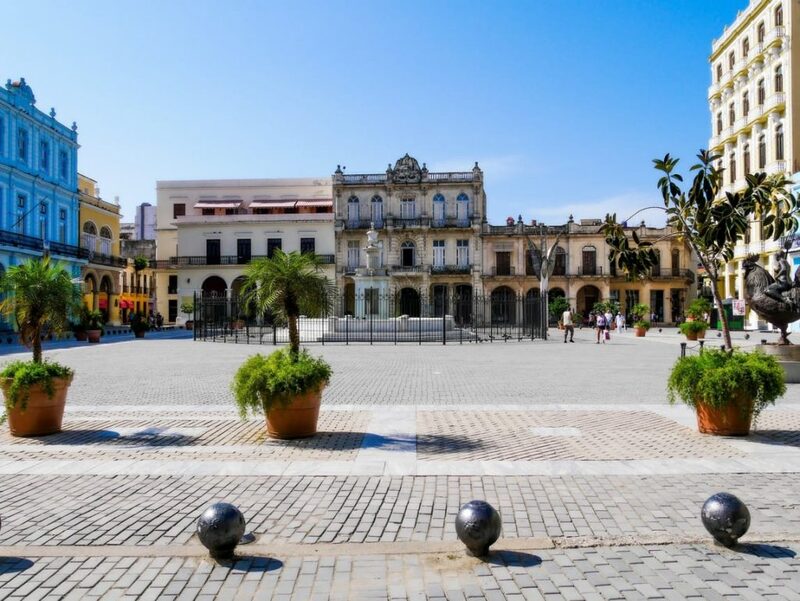 The location, in a nicely renovated building in Habana Vieja, is ideal. The owners, Ana and Stéphane, are super friendly and will gladly give you advice on your trip in Cuba. The rooms are modern and cozy (the best we’ve seen in Cuba by far) and breakfast is delicious (Ana’s cakes are incredible!). If you’re getting sick of eating Ropa Vieja, you should try Restaurant Van Van, on Calle San Juan de Dios, a few minutes walk from La Estrella. The setting is very nice, service is great and the menu features a selection of Cuban and international dishes (their chicken curry is delicious!). Sandwichería La Bien Paga is the ideal spot for a quick lunch in Habana Vieja. This very small sandwich shop offers a wide selection sandwiches and burgers, which you can eat on-site or take away. From American classics to Cuban specialties, the menu will suit all tastes. For the record, it is also one of the rare places in Cuba where we found actual Coke (most of the time, you’ll be given Tukola, the local version of Coke). 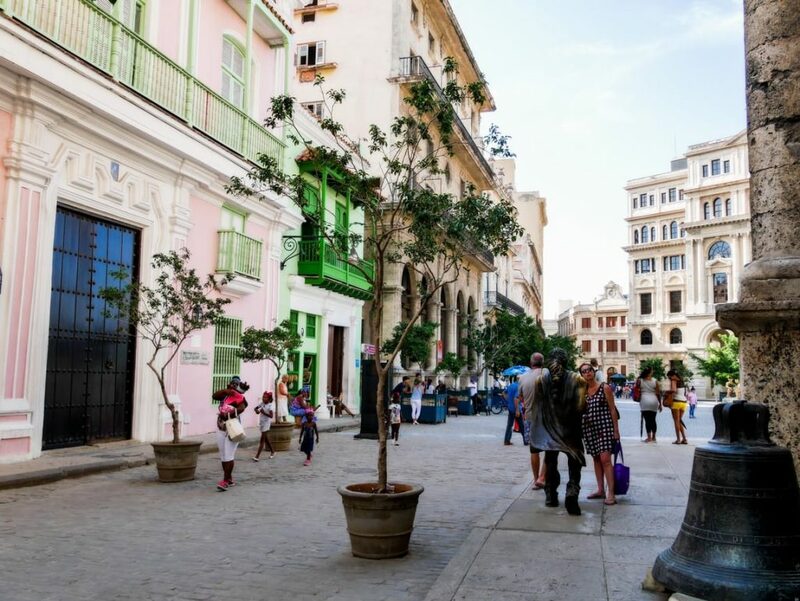 If you’d like, you can also visit Habana Vieja with a tour guide who will show you the main attractions and sights, and tell you everything there is to know about local history. Did you like this article? Feel free to rate it!